Born in the war years in 1940, Burtie was weaned on the Light Programme, Radio Luxembourg, and the Archers, until he found jazz in the early Fifties with his mates, Sos Sears, Doug Waring and Mick Rose. He first started playing the washboard with chain-mail gloves, with such enthusiasm that he wore holes in the washboard and his fingers. 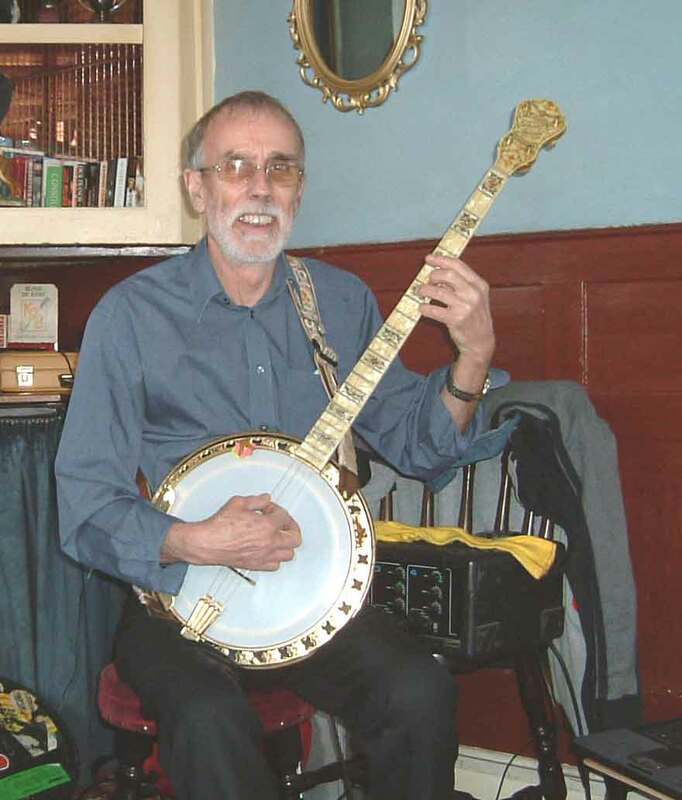 He decided to move up the ladder and bought a plectrum banjo at the cost of £3. 0s. 0d. Great fun in the early days with the Perdido Street Ramblers, charging 9d on the door, to be pelted with pea-shooters - all part of the fun in the old days of learning! In the late Fifties they joined up with Dave Hill, Dave Jarrett and Gordon Hurley, and the Tuxedo Jazz Band was formed. This band found fame in the early Sixties through Southern Television's "Home Grown" talent programme, winning the grand final. What a night the band had, sharing the first prize of £100! It was with the TJB that Burtie took to removing his shoes, as the stomping of his feet proved to be too much for the rest of the band. In the Sixties he ran a quartet with Ivan Gandon, Curly Mantle and his old mate, Humphrey Mayes, called the Pasadena Four, then played in the Bod Bowles band. In the Eighties, joined the Pete Rose Jazz Band, and later the Invicta Jazz Band. Memorable moments - playing behind Humphrey Lyttelton, Pat Halcox, George Chisholm, Terry Lightfoot, Monty Sunshine, Terry Lightfoot, etc. I started playing the trumpet while at school in the mid 1970’s, although after the early stages I was very much into orchestral music – jazz was just a four letter word ! However, in about 1980 somebody phoned up and asked if I was free that evening to play with a jazz band and I agreed to do the job. I made a complete fool of myself ( I couldn’t imagine how anyone played without sheet music and I knew no tunes ) but was hooked. 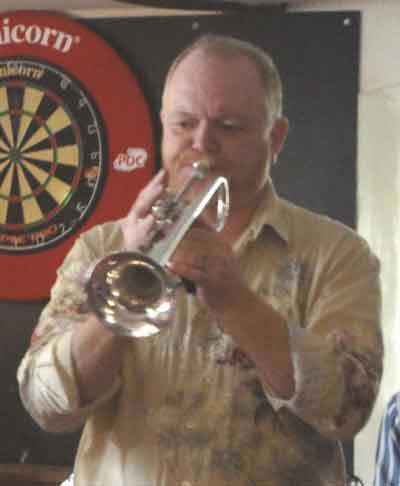 More and more jazz and fewer and fewer orchestras, and I have now been eking out a ( sometimes precarious ) living playing jazz trumpet for nearly thirty years. One would think this is long enough to learn better, but I still love what I do, and it sure beats working a living. Ray Perkins piano, Colin Hodges bass and Mike Marsh drms. Laurie learned the rudiments of drumming when aged 11, with the school pipe band in his home town of Edinburgh. He developed an interest in all forms of jazz in the early 1960s, while studying engineering at University in Dundee. After buying a complete kit he taught himself jazz drumming and while at college he played in all sorts of groups, from rock to big band, and worked as Kenny Ball's first road manager during the summer of 1962. One University jazz quartet that Laurie played in managed a three-week stint at an Aviemore hotel for the skiers there on h oliday. During seven years in Canada, he played with several jazz groups in Montreal, even appearing on radio and at Expo 1967. Back in the UK in the 1970s he played with Malcolm Walton and others at the Sun at Bredgar. 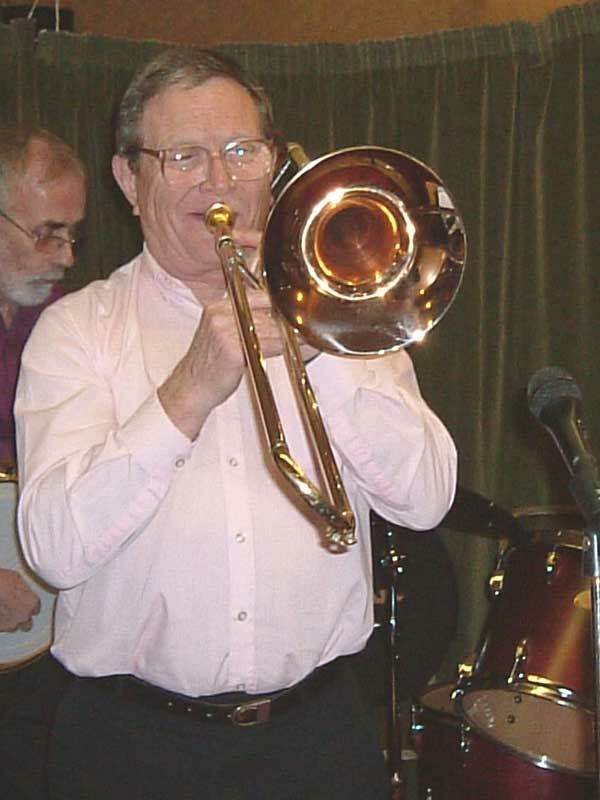 Over intervening thirty years he has played at one time or another with most of the Kent jazz musicians. 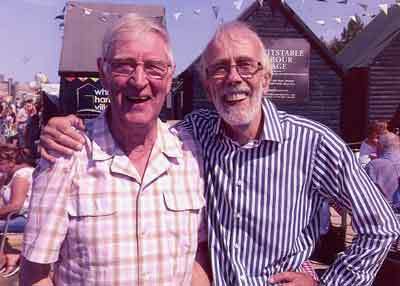 He is now a regular with Dave Link at the Chapter Arms in Chartham Hatch, as well as with Burt Butler's Jazz Pilgrims at many other jazz venues. While travelling on business, Laurie has managed to guest with groups on Bourbon Street and on a paddle steamer in New Orleans, in Beijing, Shanghai, Hanoi, Manila and Jakarta. He still likes any sort of music that swings. Music has always been at the forefront of my life. Mum played the piano, dad could knock out a tune on his accordion, my granddad was a whizzer on the spoons, and I started playing the guitar in my very early teens. There was always a good old-fashioned family knees-up at any excuse and occasion. It was whilst working in Kenya during the early 70s that I started playing Traditional Jazz, joining the Askari Stompers as their bass guitarist. The band consisted, primarily, of Dutch expats so the music was played with a lot of feeling and expression. For me, it was a terrific apprenticeship! 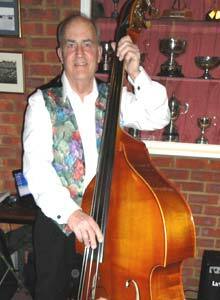 Upon my return to the UK in the early eighties, I acquired my first double bass. It had been ‘knocked about’ quite a bit, been repaired with large screws holding it all together and was painted white, but the tone was good and the price – a snip! With new strings, and restored to its original colour, I was ready to go! Whether it has been Rock, Blues or Jazz, I've had the privilege to play with many top class musicians and bands over the last couple of decades.